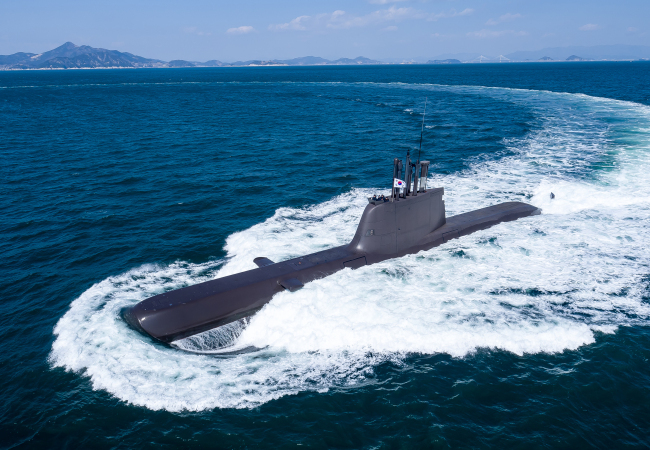 Can South Korea develop its own nuclear submarine? During the Roh Moo-hyun administration, South Korea launched a clandestine military project in 2003 to protect itself from North Korea’s nuclear and missile threats: developing its own nuclear-powered submarines and deploying them by 2020. Dubbed “362 initiative,” the program was derailed just a year later, with classified information leaked to the public and its nuclear activity brought under the scrutiny of UN nuclear watchdog International Atomic Energy Agency. After 13 years, calls for building indigenous nuclear submarines are gaining momentum once again, this time in a more challenging security environment due to North Korea’s successful launches of intercontinental ballistic missiles and its relentless nuclear program. “We are ready to consider it,” said South Korea’s Minister of National Defense Song Young-moo during a meeting with lawmakers Monday, three days after Pyongyang fired off an ICBM capable of reaching the contiguous US. Nuclear submarines have long been considered a prime component of deterrence and pre-emptive strike capability against Pyongyang’s nuclear threats, as they can operate deep into North Korean waters, monitor their nuclear and missile facilities and strike if an attack is imminent, analysts have said. Unlike South Korea’s conventional diesel-powered submarines, which have to emerge out of the water for oxygen every three to four days, nuclear-powered submarines can engage in underwater missions for up to a year unless they surface for their sailors and supplies. The need for a nuclear submarine has been amplified by North Korea’s accelerated efforts to diversify its platform to carry out ballistic missile attacks, in particular since Pyongyang successfully test-fired a submarine-based ballistic missile in August last year, experts noted. 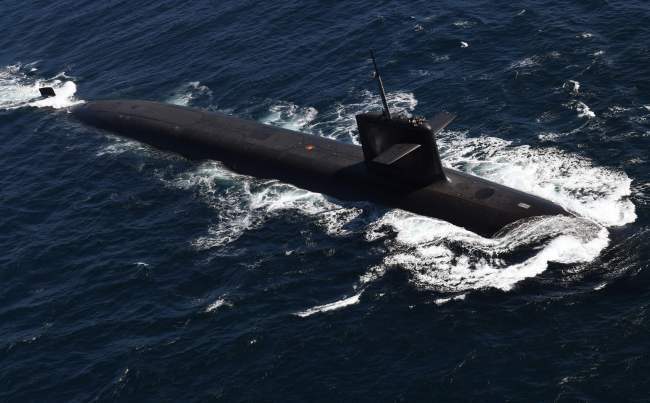 “Nuclear-powered submarines are probably the only weapon systems that can impose retaliatory attacks after surviving the enemy’s pre-emptive strikes,” said Moon Geun-shik, a submarine expert and defense analyst at Seoul-based security think tank Korea Defense and Security Forum. Analysts agreed that South Korea is considered to have secured technology for developing nuclear-powered submarines, as the country is able to build its own nuclear reactor and miniaturize it to fit into indigenous submarines. When the Roh administration launched the submarine program, the then-government anticipated that building one nuclear submarine would cost about 1.3 trillion won ($1.16 billion), about one-fortieth of South Korea’s defense budget in 2017. “South Korea’s atomic energy agency finished its basic design for a nuclear reactor that can be used for a nuclear-powered submarine in 2004,” Kim Si-hwan, who was in charge of developing nuclear reactors for submarines at the Atomic Energy Research Institute, said in an interview with local magazine Monthly Chosun. But the challenge is how to secure nuclear material for the submarines, a process that would involve massive imports from nuclear states and would therefore bring scrutiny from the IAEA and the Non Proliferation Treaty, which bans its nonnuclear member states from acquiring nuclear weapons. South Korea is a member state of the NPT. Currently, there are only six countries with nuclear submarines: the US, Russia, China, the United Kingdom, France and India. With the exception of India, which did not join the NPT, the other five countries are allowed to possess nuclear weapons under the NPT as permanent members of the UN Security Council. Some analysts suggest that South Korea could avoid the international restriction by developing a nuclear submarine run by low-enriched uranium, which would not incur concerns over military use. Some nuclear submarines, such as those developed by France, can work on 20 percent enriched uranium. But the country would face another tough negotiation with the US, with which South Korea signed an agreement in 2015 on Seoul’s use of nuclear technology and materials. Under the revised deal, South Korea is allowed to enrich uranium up to 20 percent, but is strictly banned from using it for any military purpose. On the campaign trail in April, then-presidential candidate Moon Jae-in acknowledged the challenge, saying under the current bilateral deal South Korea is banned from acquiring nuclear materials from the US. He vowed to fix the agreement if he was elected president. “As the US, UK and other nuclear powers did when they mounted nuclear reactors on their nuclear submarines, we have to argue that we will use the nuclear material only for the submarines’ fuel and highlight it is only designed for peaceful use,” submarine expert Moon Geun-shik said.